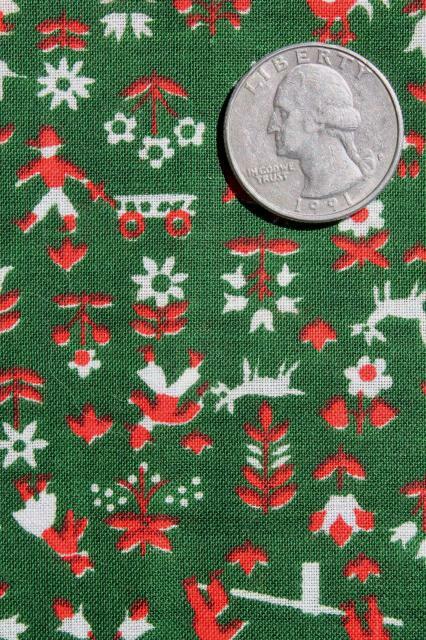 60s vintage print cotton fabric, 44" wide. 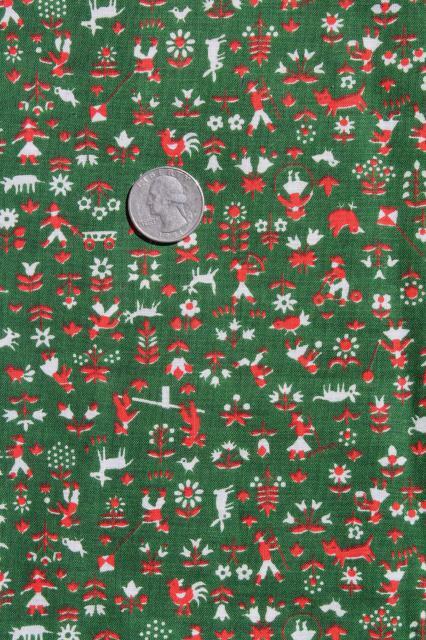 This is a Scandi style folk art print in pine green and red, cute stuff for some 'vintage' Christmas sewing! 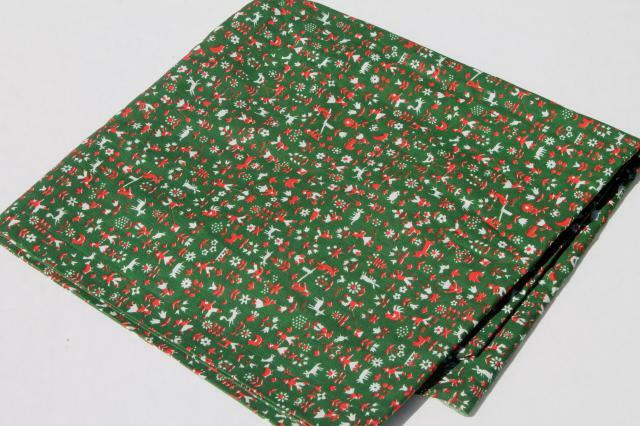 It's 2 yards +, with additional maker's flawed fabric beyond the 2 yard mark.